Domaine de L'Enchantoir, run by the dynamic Brunet family, sits on a remarkable site of largely ancient limestone, dating from the late Cretaceous period. The gentle slope sits at approximately 150 meters altitude, with about 15 or so inches of soil before the vines burrow into the solid chalk below. This brings a typicity which was recently recognized by the creation of the appellation 'Saumur Puy de Notre Dame' for the rich and complex Cabernet Franc that come from this unique site. The Chenin Blanc is a dead ringer for Loire whites costing 3 times as much. The winery has worked the vineyard organically since 2010. To maintain biodiversity, they leave the grass between the rows and plow to naturally control the vigor and health of the vines. In the cellar, they follow the same principles--no additives and a minimum of intervention. At harvest, they sort and destem, using natural yeasts and age the two flagship bottlings exclusively in tank. 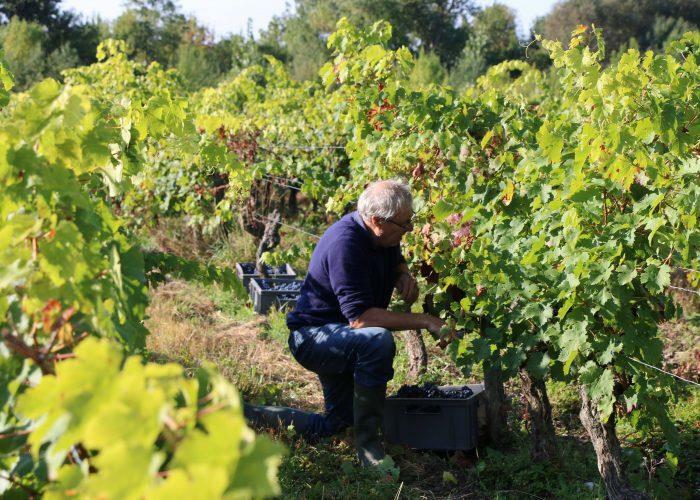 The simple formula of naturally grown and tank aged wine has already led to winning gold medals at the Salon des Vins de Loire in Angers and getting attention from French wine press such as Blanc & Rouge.